This week in Music the children discovered Latin music via Ricky Martin’s “Livin La Vida Loca”. 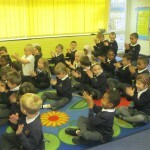 The children loved the energy of the song with everyone dancing along. 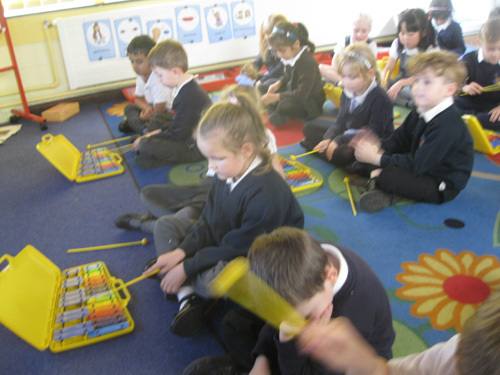 The children then moved on to applying their new Latin beats to their Chranga song using the glockenspiels. 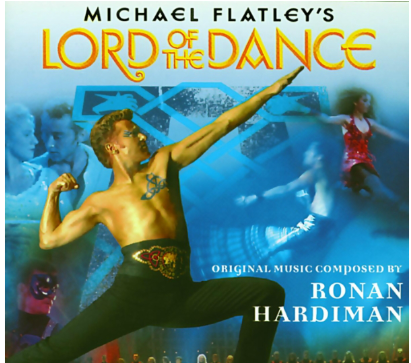 Part of our music lesson today the children all listened and appraised Lord of the Dance. 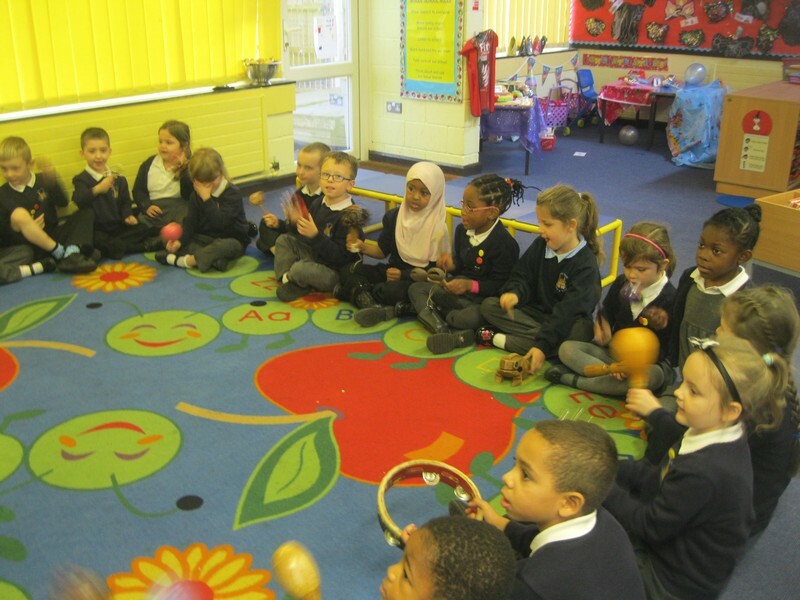 The children were asked to think about what instruments they could hear and how the music made them feel. 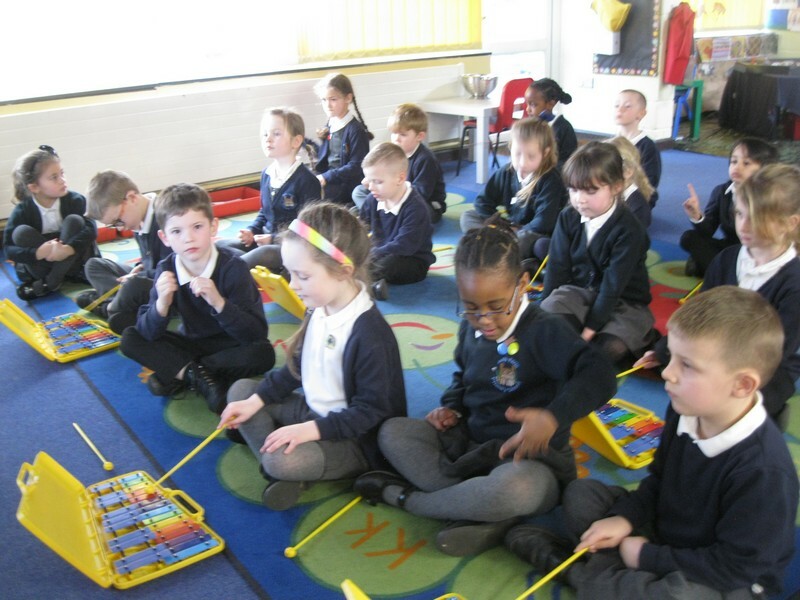 Today in music the Puffins have been focusing on how show a range of tone whilst singing. Today we have finished our first unit of music. 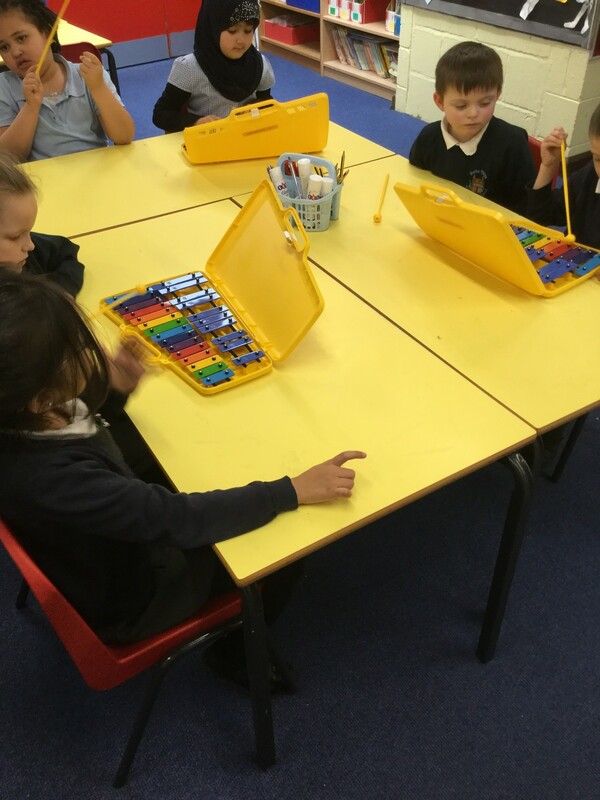 We have learnt how to keep the pulse, adapt our pitch whilst singing and finally today practising our song on the glockenspiel. 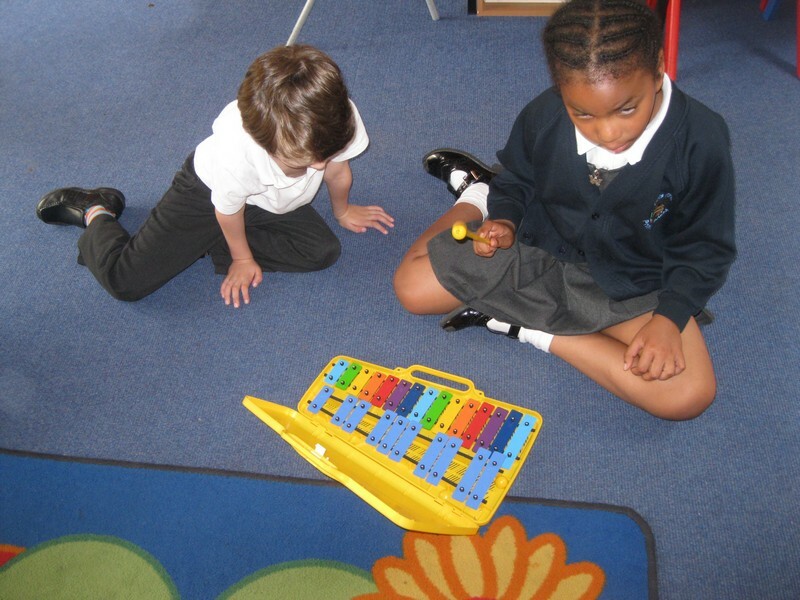 A very productive and slightly noisey afternoon learning how to play the glockenspiel. 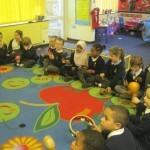 The were able to keep a steady beat and practised coming into the music on time. The children did a great job! 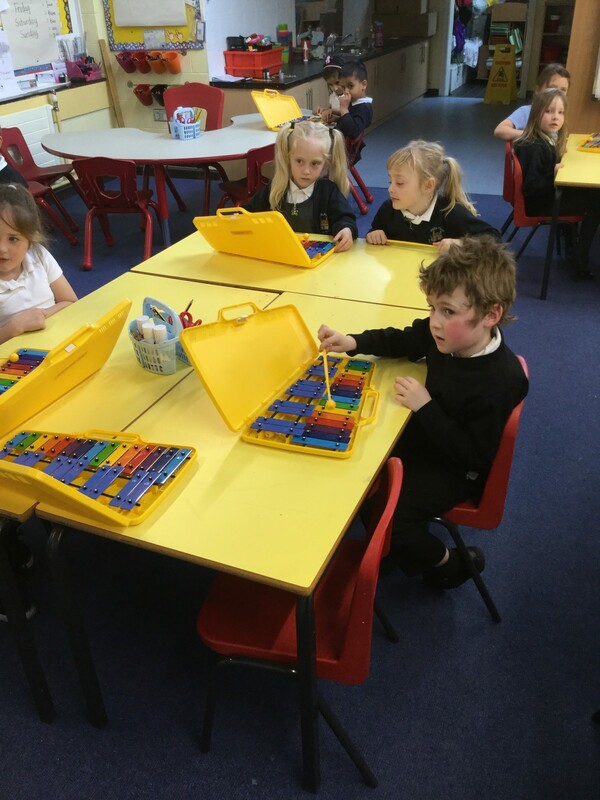 Puffins had great fun learning all about pitch and how to use a glockenspiel to play twinkle twinkle today. They found it hard at first but they preserved and it came together in the end. 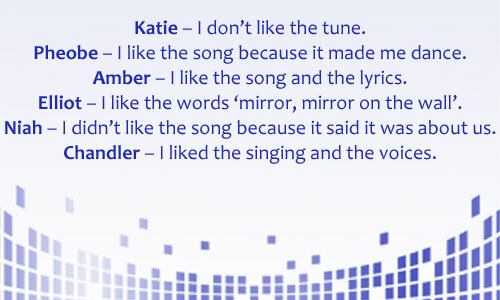 Today we started our music lesson by listening to a song called ‘Me, Myself and I’ and discussed our view on the song. Here are some of our answers. 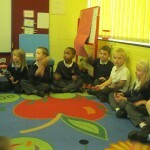 We then practised singing the lyrics while keeping the pulse throughout the song. It was a hard task because the song makes us want to move around, but we tried really hard. Today Mrs Jones played us When I’m 62 by The Beatles. 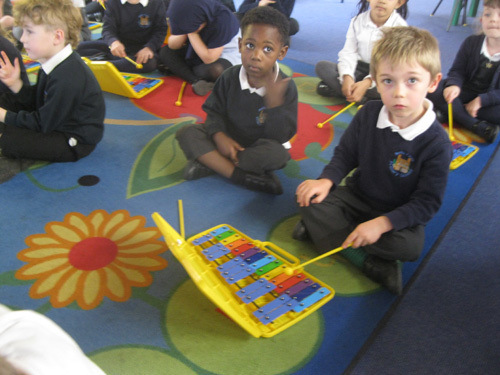 We listened to the music before sharing our thoughts. 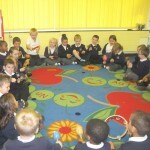 We started keeping the beat throughout the song independently and Mrs Jones was very impressed. Reuben – Yes, I like the beat. Isabella – Yes, I liked the singing. Llukan – No, it is too slow. Oscar – Yes, it is nice and quiet. It is not too loud. Maddison – Yes, I liked the words. Khaltum – I could hear a flute. 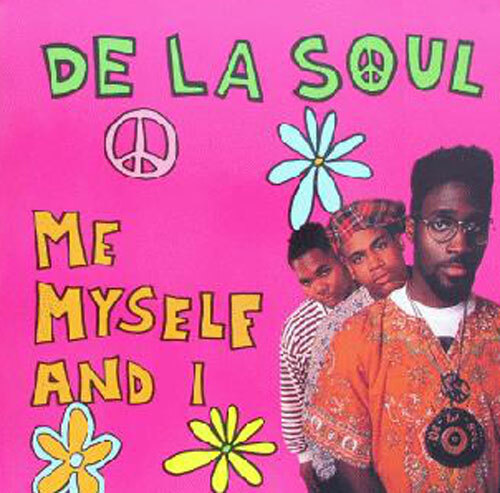 Ishmael – I could hear a trumpet. Miranda – I could hear a piano. Kyle – The drum is keeping the beat. 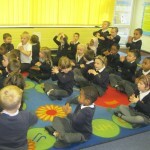 After warming up our voices, we then continued practising our pirate songs. We have learnt the words well and we have started to use the backing track to sing all the way through. 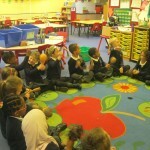 We had our first Music lesson with Miss Bowkett this morning. 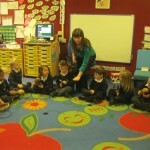 First of all we thought about all the different sounds we can make using just our hands. We made loud and quiet sounds and practised how to change them. Can you make your hands make these sounds? 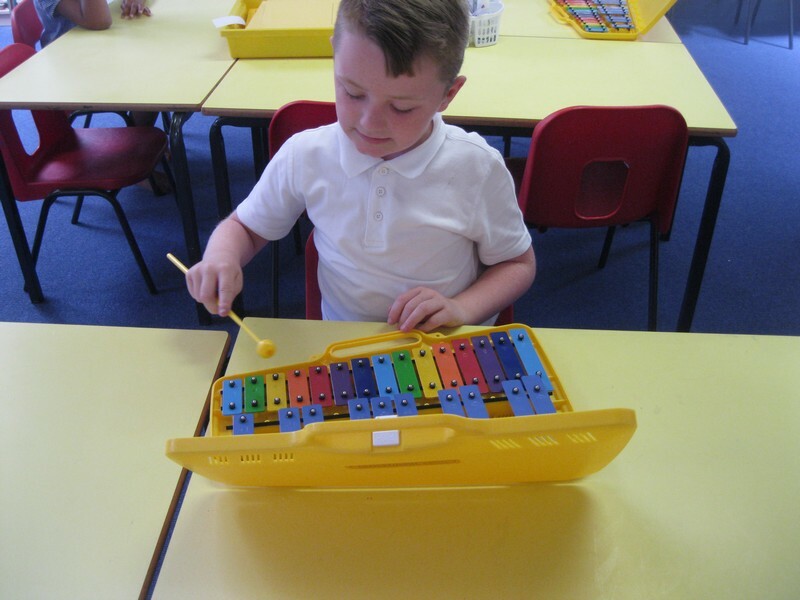 Then we used lots of different musical instruments and followed Miss Bowkett’s signals to increase and decrease the volume. 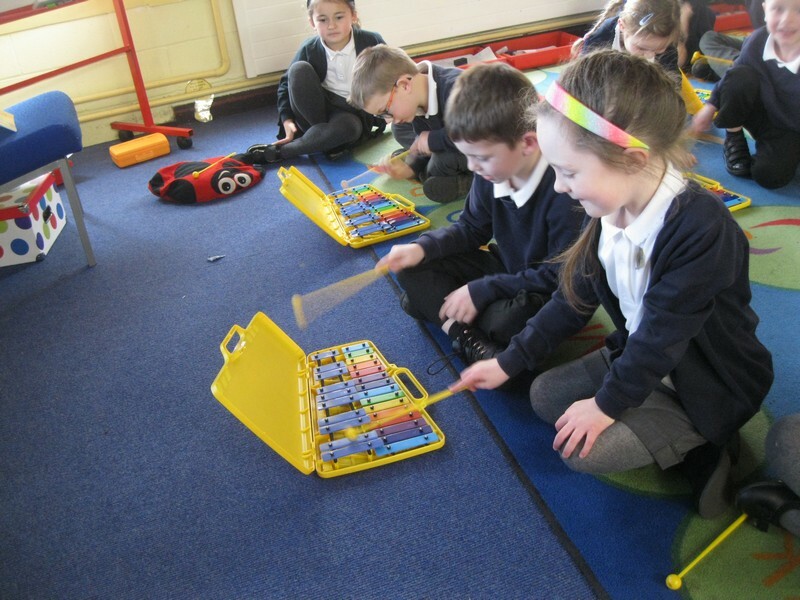 We were very good at this and are looking forward to using the instruments again next week!